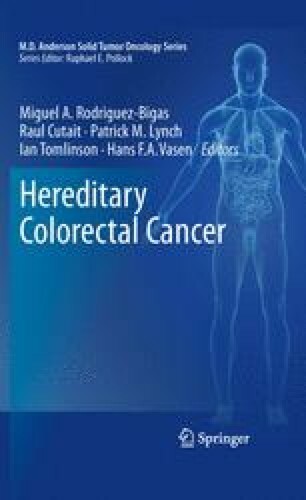 Familial Cancer Registries have proven to be invaluable in identifying individuals at risk of hereditary colorectal cancer syndromes and their families. With the advent of registries, call-up patients shown to have better survival than index patients. In this chapter, the establishment, purpose, and function of familial cancer registries will be discussed. From the Danish Polyposis Register and the Danish HNPCC Register, Hvidovre Hospital, Faculty of Health Sciences, University of Copenhagen, Denmark. Council of Europe. Directive 95/46/EC on the protection and the free movement of such data. http://europa.eu.int (1995). Retrieved 6 Sept 2004.